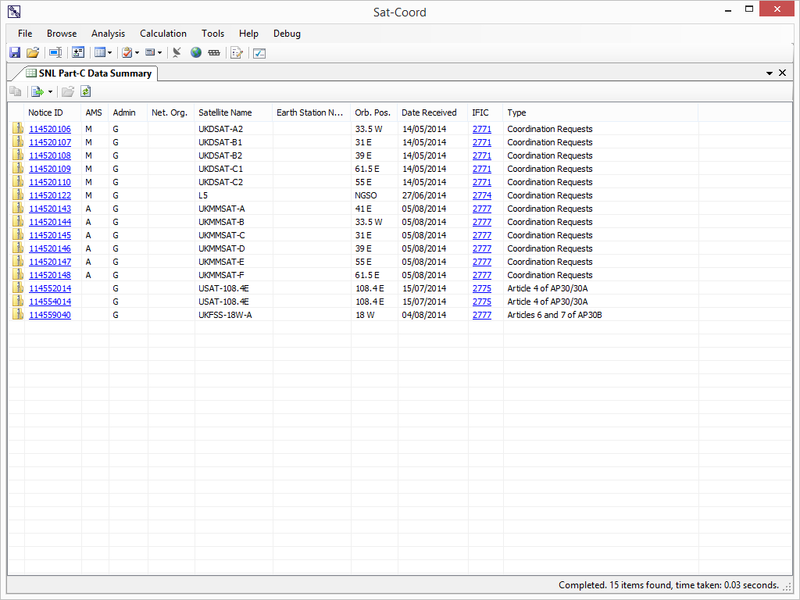 Sat-Coord can be used to interrogate and retrieve information from many ITU database files (including the SRS/IFIC, SPS and AP30B	database files) quickly and accurately. 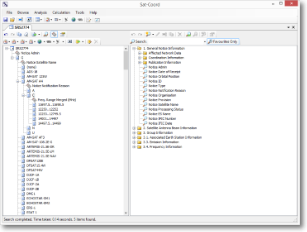 Over 500 searches supporting SNS database versions 5.2, 6.0, 6.1, 7 and 8. 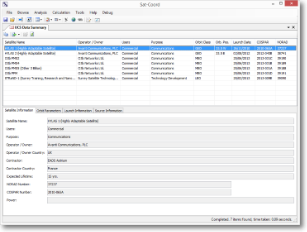 Search criteria can be defined to retrieve just the information you need, and the results can be exported to any text or CSV compatible application. 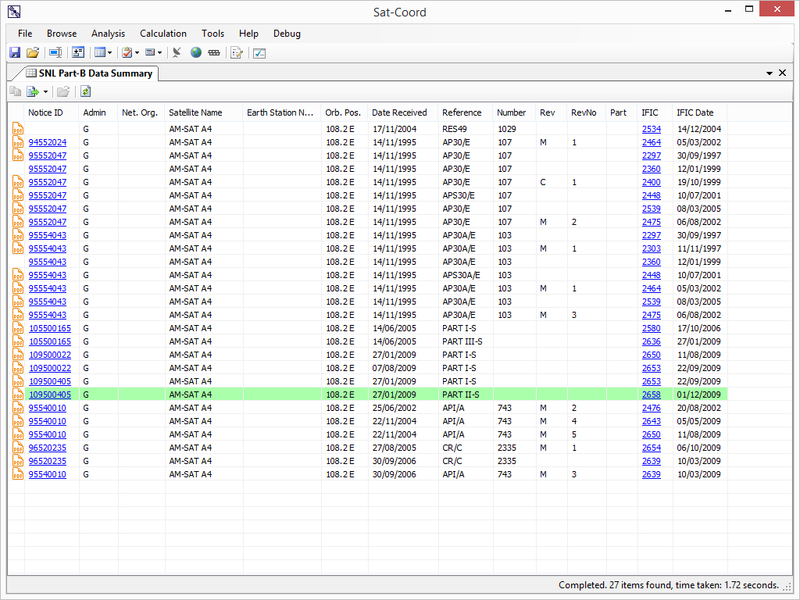 Sat-Coord can be used to interrogate and retrieve information from the ITU Space Network List Part-B database, as well as being able to keep this data upto date with the latest IFIC information. Supports linking to the BR IFIC/WIC Collection enabling the quick launch of the PDF version of any filing in the collection. 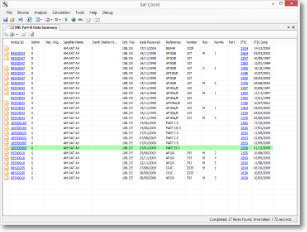 Can quickly and easily see the full filing history associated with any network or subset of the SNL Part-B database. 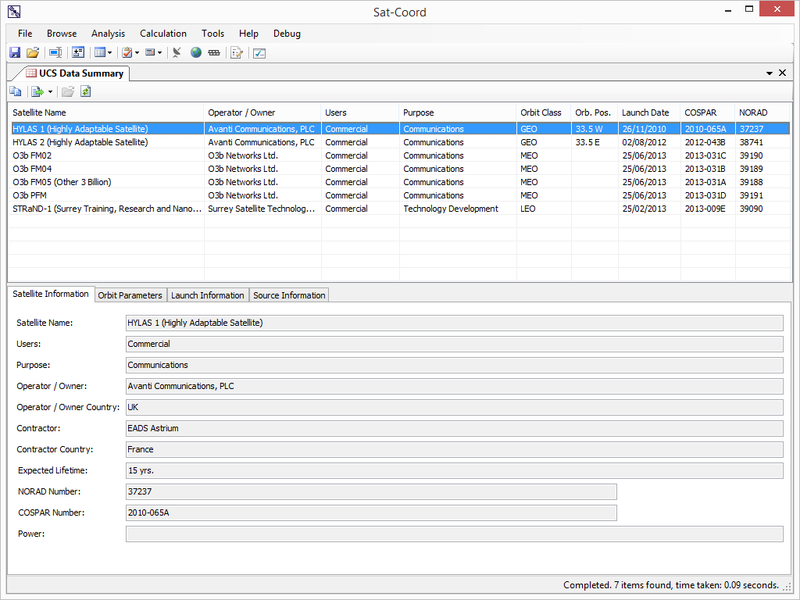 Sat-Coord can automatically retrieve the latest ITU Space Network List Part-C "as-received" data, which can be interrogated in a similar way to the SNS and SNL Part-B data. 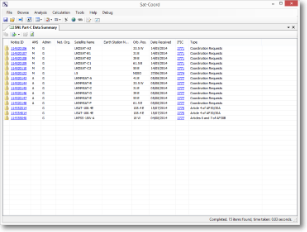 Supports linking to the ITU online information allowing quick retrieval of the "as received" data. 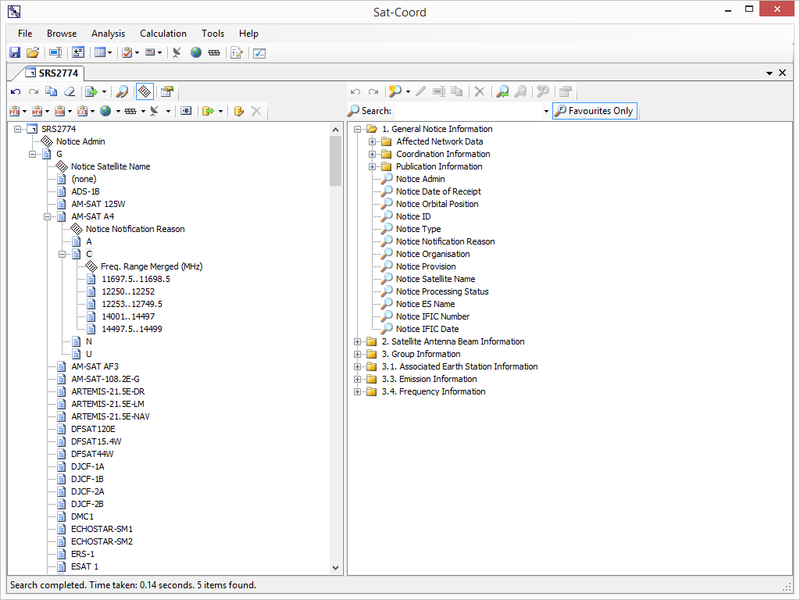 Sat-Coord can automatically retrieve the latest Union of Concerned Scientists (UCS) Satellite database which can be interrogated in a similar way to the SNS and SNL data. 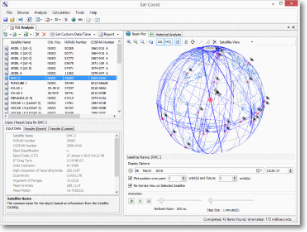 The UCS database provides satellite, orbit parameters and launch information data on more than 1000 operational satellites currently in orbit around the Earth. 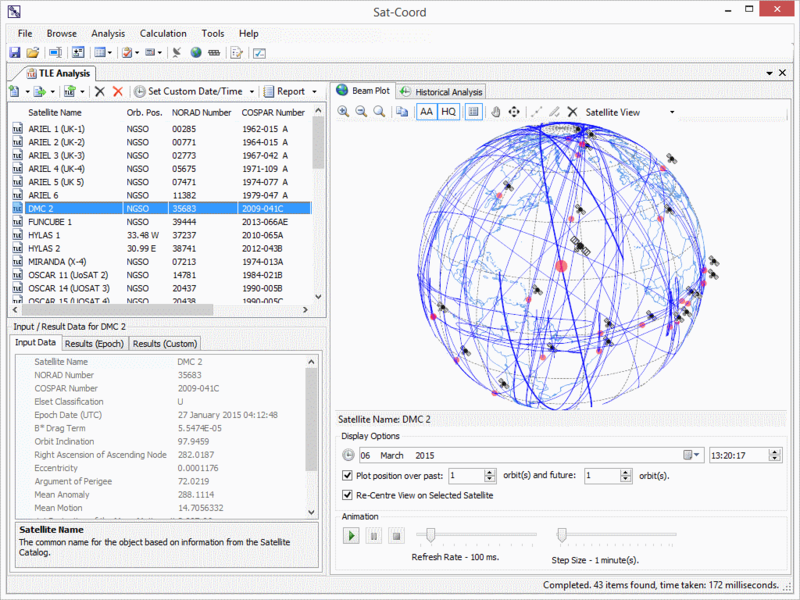 Sat-Coord can automatically retrieve the latest Satellite Catalogue and Two-Line-Element (TLE) data from Space-Track.org which can be interrogated in a similar way to the SNS, SNL and UCS data. The Space-Track database includes detailed orbital parameters for more than 7500 satellites either currently, or previously, in orbit around Earth. The associated TLE information can be analysed and the results displayed with real-time prediction of the position of each of these objects.